9ft antique mahogany pool snooker table | Browns Antiques Billiards and Interiors. Fantastic 9ft table just arrived. 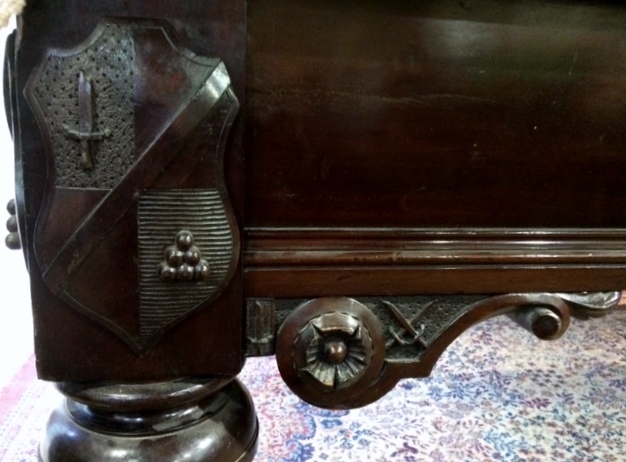 By Geo Spencer & Sons this is a rare table with unusual carvings. Suitable for snooker or pool. 9FT ANTIQUE MAHOGANY POOL STYLE TABLE. SPENCER.